This amazing product is a cleanser, a mask, and a moisturizer all in one! No doubt, one of our finest offerings. 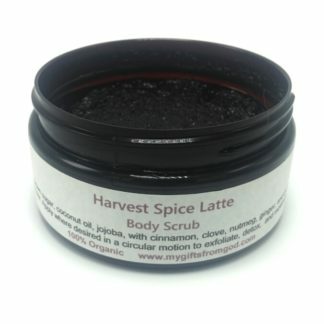 It is a spa quality clay cleanser with a powerful scrub, yet gentle enough to use daily. It won’t strip or dry the skin. In fact, this cleanser is quite moisturizing and nourishing, and is well tolerated by all skin types. 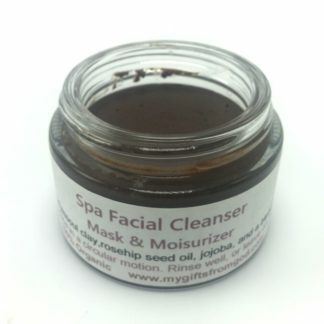 This is one of the finest quality facial cleansers you can find. And it only takes about a 1/4 teaspoon per use, so this product will last a while. Averages 48 uses per jar. To use, dampen skin, then place about a 1/4 teaspoon in the palm of you hand. Add about the same amount of water and blend. It will become creamy. Add more water if needed. Then apply to face in a circular motion, avoiding the eye area. Rinse with warm water and pat dry. For a deep healing treatment, it can also be used as a facial mask. Leave on 10-15 minutes for maximum benefits. I love the way it draws out impurities and fights breakouts. And I love the way my face feels when I wash it off. So soft and polished. You may be wondering why I didn’t just add water to this product and pre-blend. There are 2 reasons. Adding water would mean you would get only half the active ingredients in this size jar, or would be sold in a larger, more expensive jar. I don’t think it’s very ethical to charge you for water. And if I added water, I would also have to add an inorganic preservative. Then it would no longer be organic. Each ingredient was selected to create the highest quality facial cleanser and mask possible. 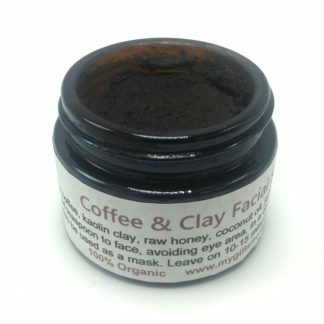 Moroccan Rhassoul Clay is the most powerful deep cleansing clay and especially great for acne prone skin. This ancient clay is well know for it’s ability to draw out impurities while providing essential minerals to the skin. It can increase skin elasticity, even skin tone, reduce blemishes and blackheads, remove makeup, and reduce skin dryness or flakiness. 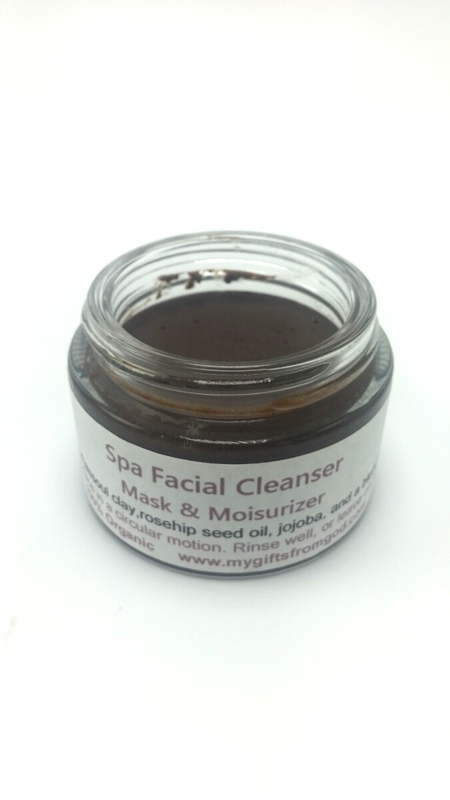 Rhassoul clay has a high negative charge that can help draw out blackheads and other impurities from skin. Rosehip seed oil penetrates deeply into the lower layers of the skin where it regenerates cells and increases collagen production. It is rich in vitamin C and E, Omega-3 and Omega-6 fatty acids and retinoic acid, which has been shown to brighten and tighten skin. It also helps restore skin’s elasticity, fades age spots and dark circles, reduces broken capillaries, and balances oil production. Cucumber seed essential oil is highly moisturizing for dry, dehydrated, and damaged skin. It’s anti-inflammatory properties from Omega 6 fatty acids are excellent at soothing irritated skin. 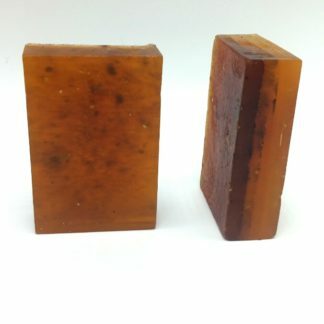 Rosewood essential oil has tissue-regenerating properties that help prevent wrinkles and premature aging and also works well for preventing a variety of skin conditions. It reduces the onset of pimples, acne and blackheads while controlling the amount of sebum secreted by your oil glands. Rosemary essential oil is an excellent choice for skincare, especially for it’s anti-aging ability. This precious oil is an antioxidant that removes free radicals. Free radical damage is a big part of the appearance of aging, and stress. Lavender essential oil gently provides both anti-inflammatory and anti-oxidant benefits. 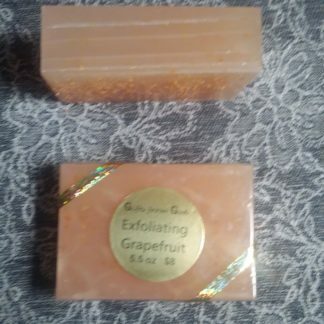 Also a great choice to heal and rejuvenate fragile facial skin. Tea tree essential oil is antimicrobial, making it an excellent cleanser, as well as antibacterial, the best choice for healing and preventing acne. 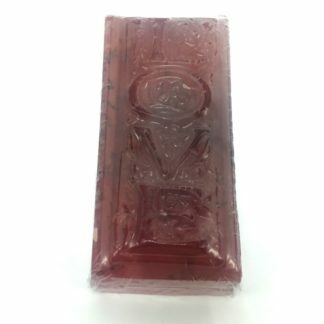 This product is available in a beautiful 2 oz clear glass jar. 100% Organic, gluten-free, and non-GMO.